According to the Centers for Disease Control, 48 million Americans contract foodborne diseases annually, with Salmonella being the leading cause of illness. Salmonella has a unique characteristic that allows the bacteria to penetrate through cell barriers and replicate inside its host. Now, scientists at the Cancer Research Center and the University of Missouri have developed a non-toxic strain of Salmonella to penetrate and target cancer cells. Results from this study could lead to promising new treatments that actively target and control the spread of cancer. "Salmonella strains have a natural preference for infiltrating and replicating within the cancer cells of a tumor, making the bacteria an ideal candidate for bacteriotherapy," said Robert Kazmierczak, a senior investigator at the Cancer Research Center and a post-doctoral fellow in Division of Biological Sciences in the MU College of Arts and Science. "Bacteriotherapy is the use of live bacteria as therapy to treat a medical condition, like cancer." Kazmierczak and the team at the Cancer Research Center (CRC) developed CRC2631, a Salmonella strain that has been genetically modified to render the bacteria nontoxic and enhance its natural ability to target and kill cancer cells—without harming normal, healthy cells. The Salmonella strain was administered directly into the circulatory system of mice with prostate cancer. "We found that the mice tolerated the treatment well and when examined, their prostate tumors decreased by about 20 percent compared to the control group," Kazmierczak said. "One of the most remarkable aspects of Salmonella is its ability to target, spread and persist inside the tumor. We are taking advantage of this ability by using Salmonella to carry or generate effective chemotherapeutic drugs, concentrating them at and throughout the tumor. The goal of this treatment is to develop a bacterial vector that can destroy the tumor from the inside out and reduce the amount of side effects endured by patients with cancer." CRC2631 is derived from a Salmonella sample that was stored in a test tube at room temperature for more than 50 years. 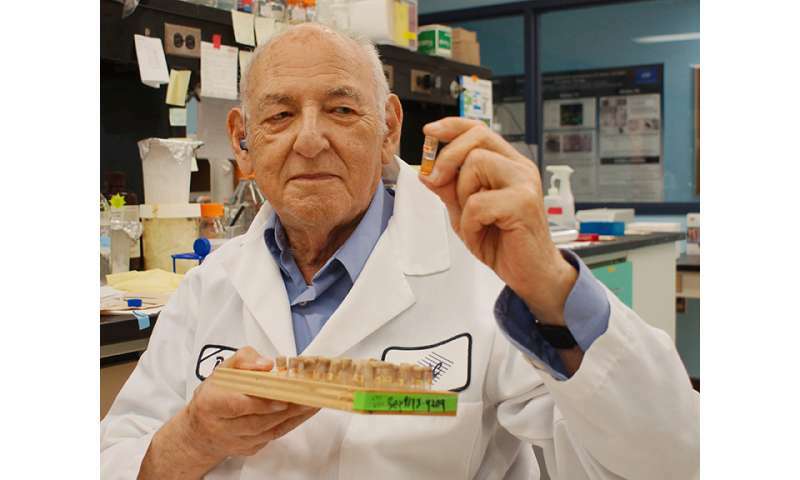 The sample originates from the Demerec collection, a collection of mutant strains of Salmonella collected by geneticist Milisav Demerec and curated by Abraham Eisenstark, scientific director at the CRC and professor emeritus of biological sciences in the MU College of Arts and Sciences. The collection contains over 20,000 different samples of Salmonella, with half of the samples housed at the Cancer Research Center where researchers affiliated with MU focus on three areas of cancer research: early detection, targeted treatment and new, effective chemotherapy. 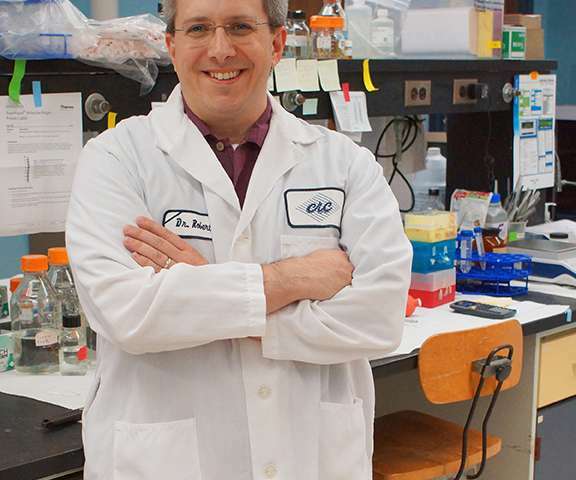 "The uniqueness of CRC2631 differentiates our Salmonella strains from other universities trying to achieve the same goal; it is one of a kind," Eisenstark said. "The strain of Salmonella we are using is essential to the success of our study."